One of the challenges that President Uhuru Kenyatta's pet project the Digital Literacy Programme has faced since 2013, is poor infrastructure. Questions were raised on how learners studying under trees, or in dilapidated mud-walled classrooms without desks, would reap the fruits of the technology. 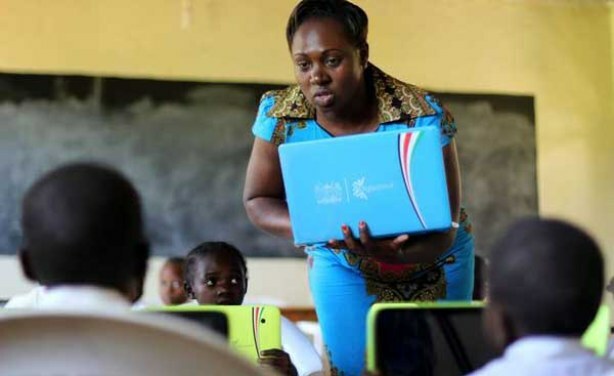 Caroline Minayo, class one teacher at Butere Primary School in Kakamega County introduces her pupils to digital tablets (file photo).